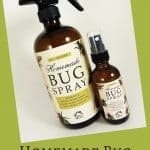 Make your own bug spray, and skip all of the chemicals found in commercial versions. My recipe uses just two natural ingredients. Brown glass bottles protect the oils from sunlight, so they don’t go bad prematurely. 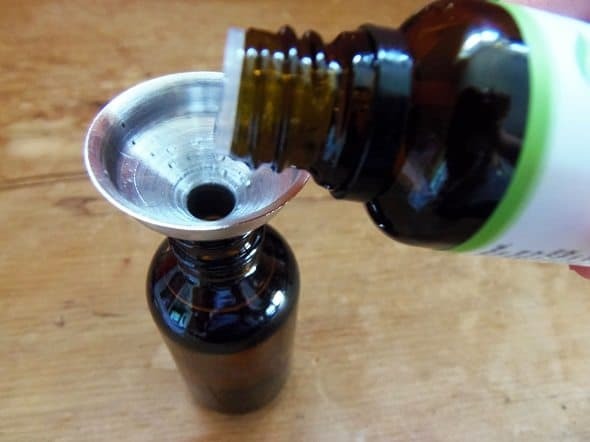 Most essential oils need to be diluted to make them safe to use. So, you can’t simply buy a bug repellent oil, and apply it to your skin. This bug spray recipe dilutes the oil in witch hazel. A 1% dilution rate is generally regarded as safe for children, and a 2% dilution rate is generally regarded as safe for adults. I usually use a 1% dilution whenever I make homemade products, so everyone in my family can use them. To make a 1% dilution, you add 6 drops of oil for each ounce of liquid that you’re using. To make a 2% dilution, you add 12 drops of oil for each ounce of liquid that you’re using. So, to make a 2-oz. bottle of bug spray with a 1% dilution rate, you add 12 drops of essential oil to 2 ounces of witch hazel. And to make a 2-oz. bottle with a 2% dilution rate, you add 24 drops of essential oil to 2 ounces of witch hazel. Easy! Making a 16-oz. bottle of bug spray is just as easy. But, to save you from having to measure out a zillion drops, I converted the recipe to teaspoons. To make a 16-oz. bottle of bug spray with a 1% dilution rate, add 1 teaspoon of oil to 16 ounces of witch hazel. To make a 16-oz. 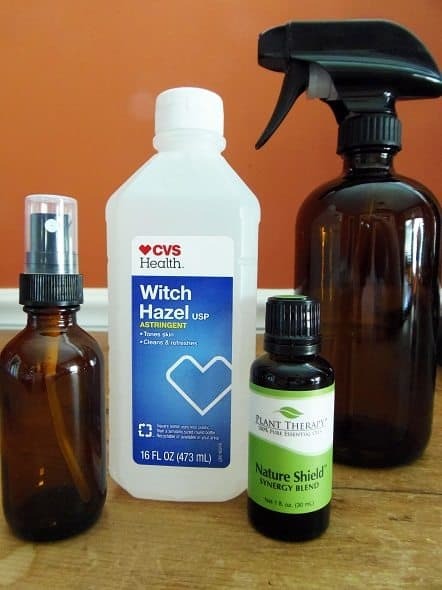 bottle of bug spray with a 2% dilution rate, add 2 teaspoons of oil to 16 ounces of witch hazel. Shake the bottle to combine. The oil won’t want to mix in entirely, and that’s okay. 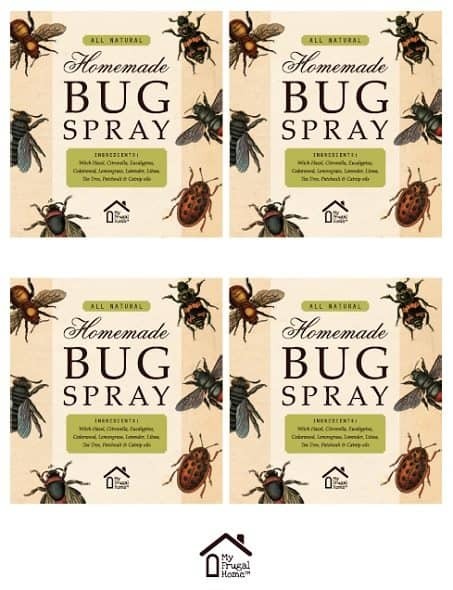 Here are some labels you can use on your large bottles of bug spray. 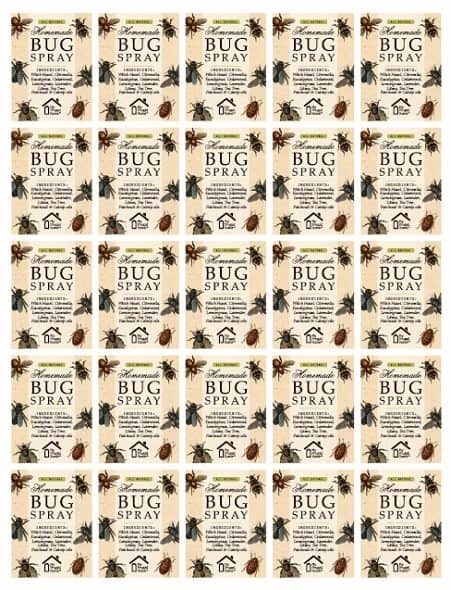 And here are some labels you can use on your small bottles of bug spray. Both are designed to print to full-sheet label paper. Lately, I’ve been experimenting with printing labels on vinyl whenever I have containers that I want to be able to wash and reuse without having to relabel them. I used vinyl for this project for that reason, and because I figure it’s inevitable that the bug spray will get on the labels at some point. They should hold up nicely to the oil. I have a color laser printer, so I’ve been using these vinyl label sheets. You can use these, if you have an inkjet printer. If you’d prefer to print your labels on regular label sheet, use Avery 8165 for inkjets or Avery 5265 for laser printers. Simply give the bottle a good shake before each use, and apply it to your skin. It doesn’t last as long as the commercial versions, so you’ll need to reapply it more often. That’s a small trade off for avoiding all of those nasty chemicals. 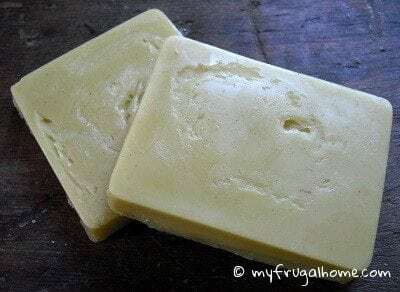 An unscented oil (olive, jojoba, almond, etc.) can be used in place of the witch hazel. 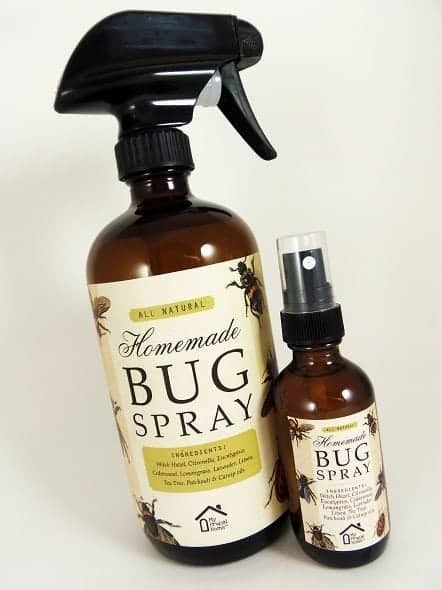 This video shows you how to make my bug spray, as well as my bug repellent sticks and bars. Try all three, and see which you like best. There’s a lot of bad and down-right dangerous information about essential oils on the web. Invest in a good essential oil book, so you can make informed decisions about what is or isn’t safe. Because, ultimately, it’s up to you to decide what’s suitable for your family. This is a book that I own and recommend. 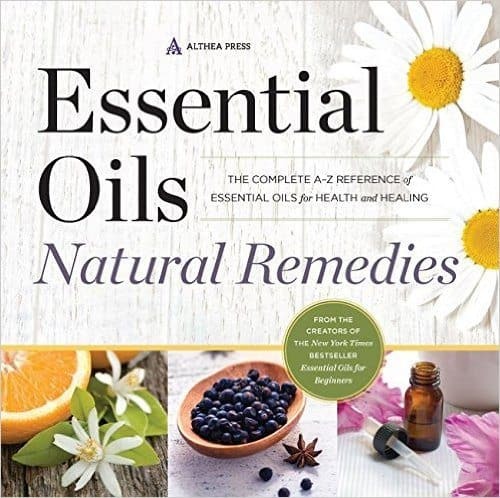 It’s called, Essential Oils Natural Remedies: The Complete A-Z Reference of Essential Oils for Health and Healing. It’s organized so that you can look up information by the name of the oil or by the issue that you’re trying to address. Whhhhhhat?? I had no idea this was possible. Thanks for sharing! what kind of bugs does it kill. The bug spray doesn’t kill bugs, it helps to keep them away. 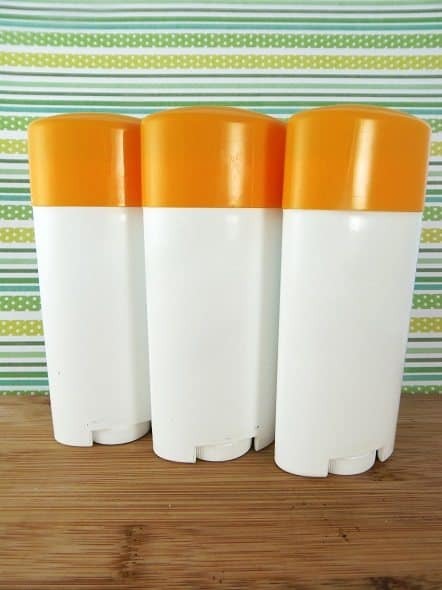 It’s designed to spray on your skin to keep mosquitoes, ticks and the like away.